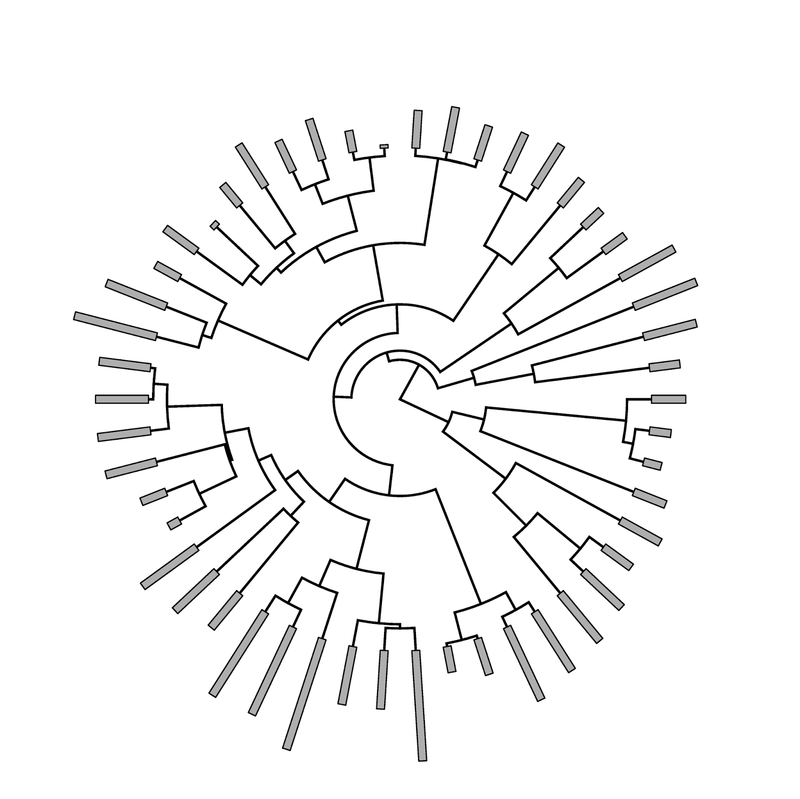 "Does anyone know of R code (or perhaps another program) to plot bars across the tips of a radial/fan phylogeny? Specifically, I have a large phylogeny and a corresponding vector of continuous trait values for the tips, and while I could use those values to vary the color and size of the tip labels, or also to plot points of varying color or size at those tips, I think a better depiction of the data would be to plot bars that vary in height." The two inobvious input arguments, scale & width, control the scale of the tip bars relative to the total height of the tree & the width of bars, respectively.